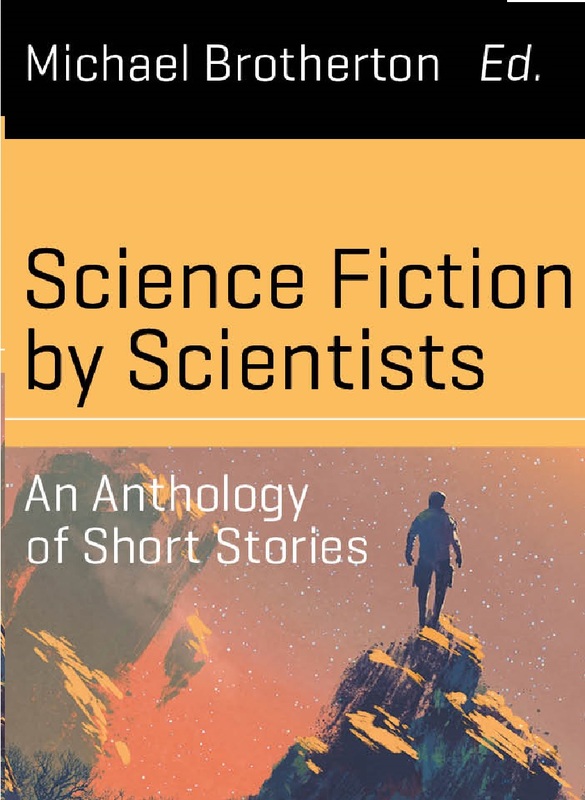 "Down and Out," by Ken Wharton [bio] (edited by Michael Brotherton), appeared in Science Fiction by Scientists (RSR review), published on November 15, 2016 by Springer International Publishing. In terms of plot, Ogby succeeds in several ways. First, she finds that "outside" is real. Second, she correctly determines the structure of her world (she literally turns their understanding upside down). Third, she communicates this back to her people before she dies, so her sacrifice is not in vain. Her struggle to get a message back to her team adds a lot of tension to the final scene. Her character is so well developed that by the end of the story, we're sure that she would consider this knowledge well worth dying for. So, although she dies, it's a story of her victory, not her defeat. The science in the story is great, and when you realize their world is upside down, there have already been countless hints in that direction. Having rock at the top of the world is a big clue, and so is seeing air bubbles fall. The scene where Ogby works inside the bubble tells us that she's used to pretending the world is upside down, so when she's confronted by the reality of it, she's ready. There are lots of nice little touches. For example, the Rygors speak to each other with a combination of colored lights and sound, with sound taking a secondary role.